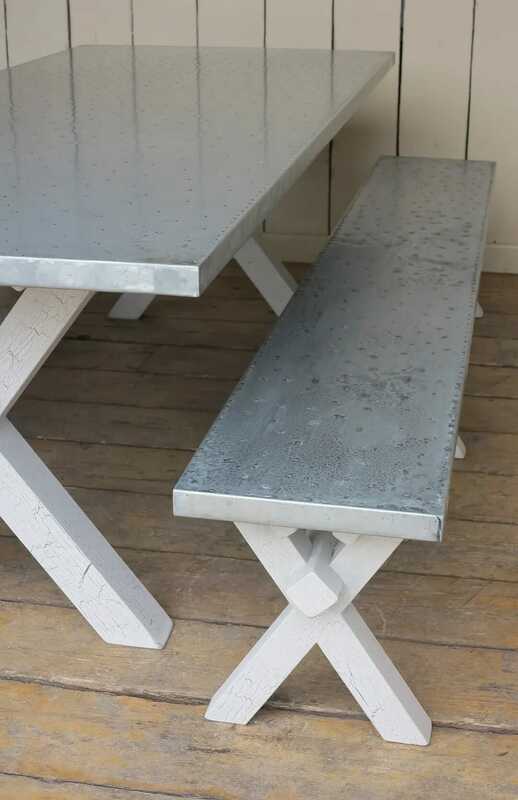 This particular antique distressed zinc top table : 230cm Long x 98cm Wide with nail detailing and a x frame base painted in a crackle glaze finish. 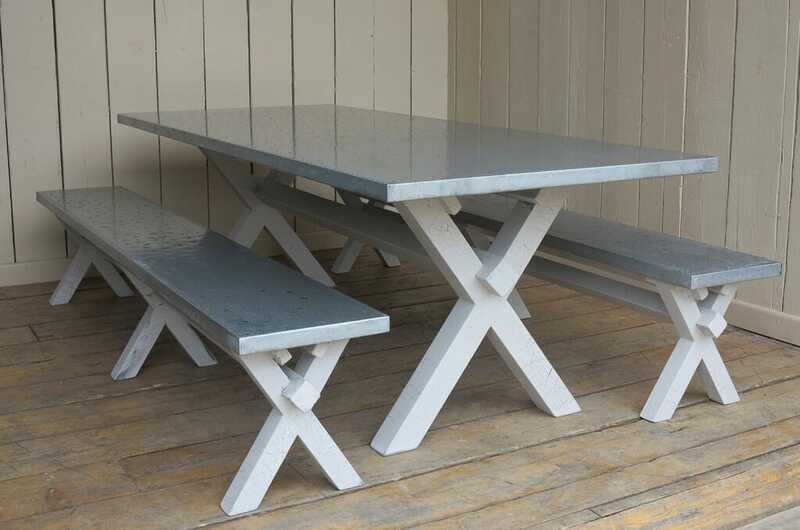 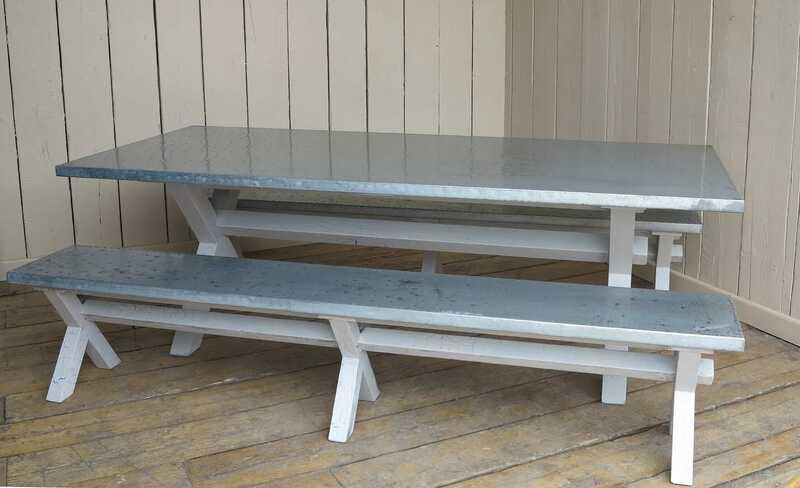 The Zinc top x frame benches have the specifications: 230cm Long x 35cm Wide x 46cm Tall with nail detailing and a x frame base painted in a crackle glaze finish. 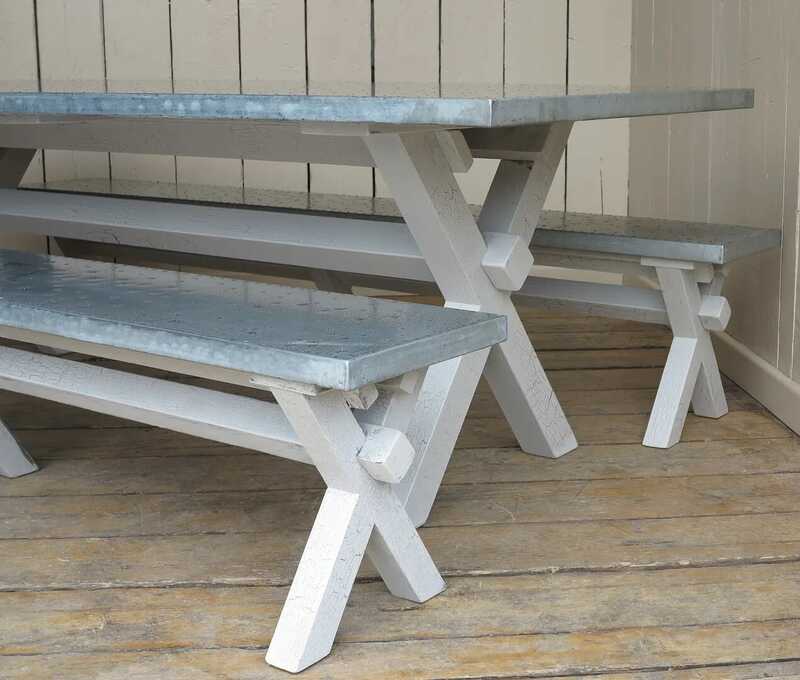 Our bespoke tables and benches are all handmade and built to your specifications here at UKAA by our experienced team of carpenters.